Though stainless-steel lined, this Iced Bulk Bin Coffee At Whole Foods has the Barn Board look of other store outfitting. The iced, tall, and fat freestanding bulk bins used thought the store reinforce a natural theme in keeping with the store brand. The iced rather than refrigerated presentation furthers that look and feel too. 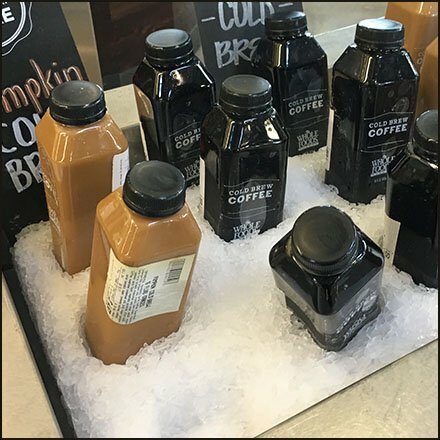 This Iced Bulk Bin Coffee At Whole Foods seen in Allentown PA.